What’s going on? After over 20 years Carter’s Dachshunds is Celebrating. 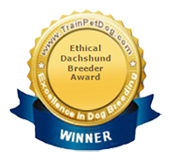 We want to share with you some of our photos and HEARTFELT stories that our family has shared with other families through our dachshund family. The New website has lots of space for a gallery of any of our precious photos from over the years. Please send us your photos and let us share with others the love they have brought to you. The new name comes not only from changes as my life is changing after 6 years of divorce but from lots of stories and tears from others over the years. We wanted a new name that had meaning. 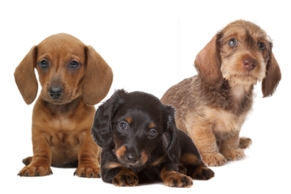 The Dachshunds have been for me an unconditional love that was there for me and my children through both the good and hard times. I would get letters and emails from others that told the same story of their journey through life. A person who was sick and couldn’t get out of bed had their dog lie with them and lick a fever away. His dachshund took his teeth and pulled the cover over him to keep him warm. Another friend shared with me her story of her husband having severe diabetes and her trained dachshund saving his life more than 7 separate times by running around him as his sugar would drop. She would know to call the ambulance when Yanni started running around him. That service dog saved the lives of many in their community by helping EMT’s to recognize problems only Yanni’s trained senses could recognize. He was published in their local paper over and over for his service to the community. 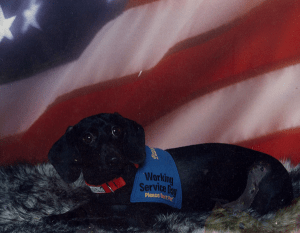 A veteran suffering from PTSD got a dachshund puppy. He shared how the puppy would move up on his chest to stop the horrible dreaming he was having. He called me a year later to tell me that the dog had pulled him from what he thought was a horrible ambush in the jungle but was really a nightmare in the closet that he just couldn’t come out of. The dachshund grabbed him by his pants leg and pulled him from the tangled clothes and finally woke him. Another elderly friend shared with me how his dachshund saved his life. The dog jumped at the door barking and ran to all the windows making all the noise he could to finally get a neighbors attention outside and get help for the gentleman. They saved his life but the family was in such shock getting to the hospital to care for him that when they returned home hours later the dog had gotten so upset getting help that she had twisted her back jumping and couldn’t move at all when the family arrived to care for her. She was given care also and the two recovered together with a bond that the whole family shares for their four legged friend who saved their dads life. These are just a few of the HEARTFELT STORIES shared with me in the last year. I know there are so many more and I want to share them with others. 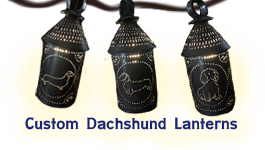 I have forgotten so many and need a reminder to get all these stories told and credit the dachshunds heros. We also highly recommend Life’s Abundance Dog Food. 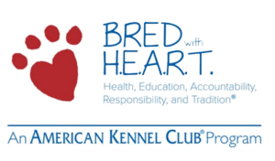 Each ingredient in Life’s Abundance food is carefully chosen to work with all the others to provide your dog with a wholesome, highly-nutritious and perfectly-balanced meal every day, every year … over a long and loving lifetime. 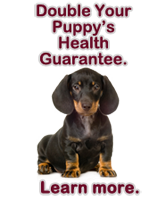 Ask us how you can get a 5 year guarantee on your puppy!